A Kentucky state representative who had denied allegations of sexually assaulting a teenage girl in 2013 died Wednesday in a probable suicide, the county coroner said. Dan Johnson, 57, died of a single gunshot wound in Mount Washington, and authorities found him after he made a post on social media sometime before 6:20 p.m., Bullitt County Coroner Dave Billings said. 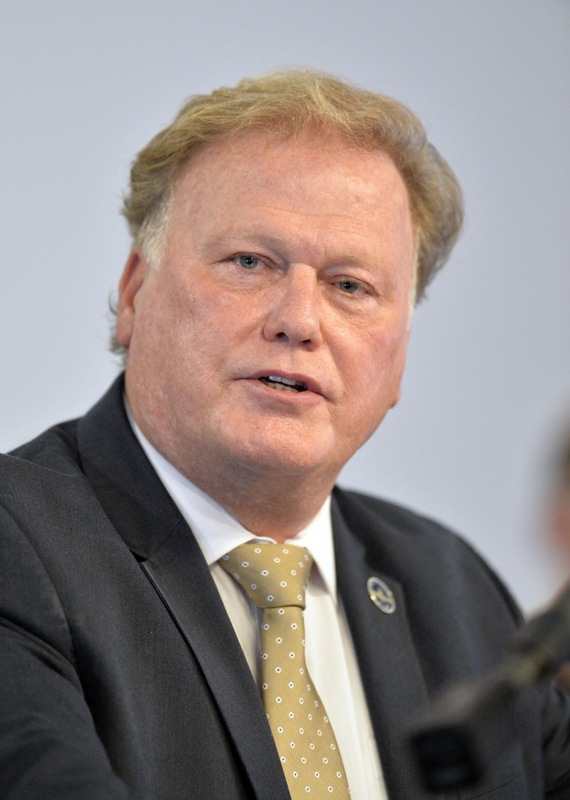 "Saddened to hear of tonight's death of KY Representative Dan Johnson," Kentucky Gov. Matt Bevin posted on Twitter. "My heart breaks for his family tonight." Billings said he was called to the scene at 7:26 p.m. The Bullitt County Sheriff’s Office did not immediately return a request for comment on Wednesday. The Kentucky Center for Investigative Reporting published a story this week quoting a woman named Maranda Richmond as saying Johnson had drunkenly sexually assaulted her in his basement on the night of New Year's Eve 2012. At the time, the woman was a 17-year-old member of a church where Johnson is the pastor, the Associated Press reported. Johnson, a Republican, on Tuesday denied the claims in the story and called the allegations "totally false," and said he would not resign, according to the AP. Johnson was elected in 2016 to represent Kentucky’s 49th House District, which includes part of Bullitt County, according to the Kentucky State Board of Elections website. Bullitt County Judge Executive Melanie Roberts confirmed Johnson’s death to NBC affiliate WAVE of Louisville and said in a statement: "I am deeply saddened by this tragic event and my prayers are with his family and loved ones." Police documents from an interview with Richmond in 2013 corroborate what she told the Kentucky Center for Investigative Reporting, according to the AP. Shortly before 5 p.m. Wednesday, Johnson posted a message on his Facebook page that he asked people to care for his wife, according to the AP. He wrote that PTSD "is a sickness that will take my life, I cannot handle it any longer. It has won this life, BUT HEAVEN IS MY HOME." The post appears to have been removed. U.S. Sen. Rand Paul, R-Kentucky, said on Twitter "Just terrible news from Kentucky tonight on the passing of Rep. Dan Johnson. I cannot imagine his pain or the heartbreak his family is dealing with tonight. Kelley and I pray for his loved ones." Johnson was pastor of Heart of Fire church in Louisville. He won the election despite Republican leaders urging him to drop out after some of his racist Facebook posts came to light, like comparing former president Barack and first lady Michelle Obama to monkeys, came to light. The sexual assault accusations against Johnson were revealed as a sexual harassment scandal involving four other Republican lawmakers was unfolding at the state Capitol, the Associated Press reported.